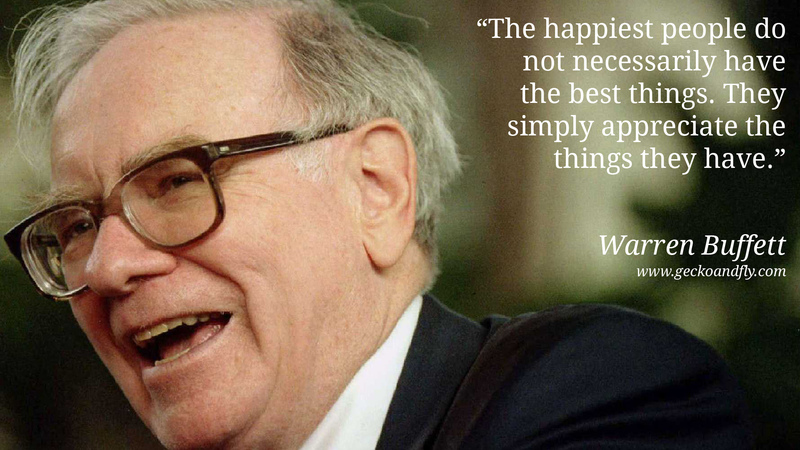 When it comes to financial advice there is no one more esteemed and educated than Warren Buffett. With an estimated fortune of $62 billion, he’s the richest man in the entire world. And he’s also a really nice guy, pledging to give away 99% of his wealth to philanthropic causes. One question he repeatedly gets asked is ‘How Can I Get Rich?’. Here are some of Warren Buffett’s money-making secrets – and how they could work for you. “Rule No. 1 : Never lose money. When you first start a business or trade stocks and make a profit, its tempting to spend it. Don’t. Reinvest that money in the stock or back into your business. This will increase your portfolio and help your business grow as your profits grow. In high school, he and a pal bought a pinball machine to put in a barbershop. With the money they earned, they bought more machines until they had eight in different shops. When the friends sold the venture, Warren Buffett used the proceeds to buy stocks and to start another small business. By age 26, he’d amassed $174,000 — or $1.4 million in today’s money. Even a small sum can turn into great wealth. Be willing to go against what everyone else says and thinks you should do. If you pursue the average, your returns will be just that, average. Judge yourself by your own standards and not by everyone else’s. When Warren Buffett began managing money in 1956 with $100,000 cobbled together from a handful of investors, he was dubbed an oddball. He worked in Omaha, not Wall Street, and he refused to tell his parents where he was putting their money. People predicted that he’d fail, but when he closed his partnership 14 years later, it was worth more than $100 million. Instead of following the crowd, he looked for undervalued investments and ended up vastly beating the market average every single year. Be ready to gather all the required information before making a decision and go for it. Don’t hesitate and procrastinate. Dedicate yourself to your goal and stick to your decision after its made. Tell your family and trusted friends about them so they can help you stick to them. Your leverage is much higher before you enter into an arrangement. This is when you have something that the other party wants. Always nail down the specifics of a deal before a deal is done, even with family and friends. Warren Buffett learned this lesson the hard way as a kid, when his grandfather Ernest hired him and a friend to dig out the family grocery store after a blizzard. The boys spent five hours shoveling until they could barely straighten their frozen hands. Afterward, his grandfather gave the pair less than 90 cents to split. Warren Buffett was horrified that he performed such backbreaking work only to earn pennies an hour. Known as a frugal man, despite his vast wealth, Buffett looks for managers who also obsess over the smaller expenses. Exercising vigilance over every expense can make your profits and your paycheck go much further. By being the most motivated and persistent, you can beat any competitor. Tenacity and persistence are Buffetts most valued attributes in a business owner. To have the courage to work harder and longer than anyone else is willing to will make you richer, period. Know when to walk away from a loss, and don’t let anxiety fool you into trying again. Gamblers have a habit of trying to recoup their losses by gambling some more, and before they know if, they’ve lost a months earnings. When Warren Buffett was a teen, he went to the racetrack. He bet on a race and lost. To recoup his funds, he bet on another race. He lost again, leaving him with close to nothing. He felt sick – he had squandered nearly a week’s earnings. When you’re struggling to make a decision, put yourself through all the worst and best case scenarios possible. Then ask yourself ‘Am I willing to take that risk?’ and if you’re not, get out. Getting good at knowing which risks to take and which to pass up will make the biggest difference for you. Know when to walk away from a loss, and don’t let anxiety fool you into trying again. 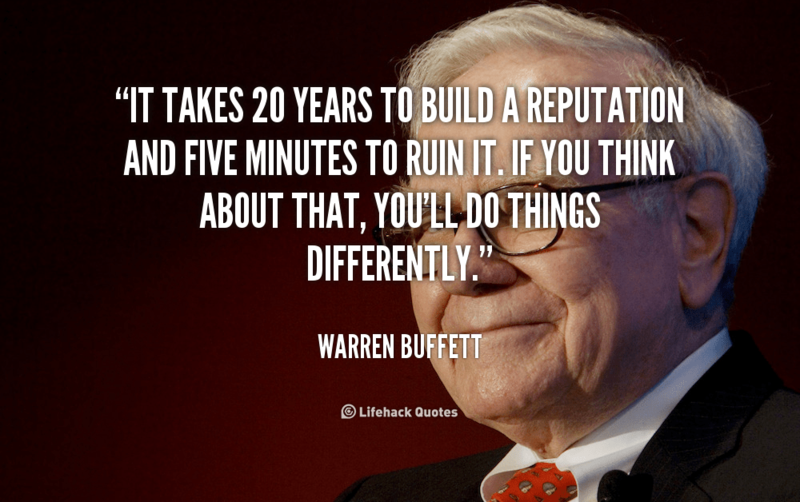 Warrent Buffett understands what real success is. Its not measured by the amount of dollars in your bank account, because if it was he wouldn’t have given almost all of his wealth away. He says ‘When you get to my age, you’ll measure your success in life by how many of the people you want to have love you, actually do love you. That’s the ultimate test of how you’ve lived your life.’ True success is impacting peoples lives and living your life to your full potential. Then you can say that you did your best. Do we have left or right brain personalities?